Printed graduated scale for precise radius setting. Plate has a 30mm hole to allow a 30mm guide bush to locate. 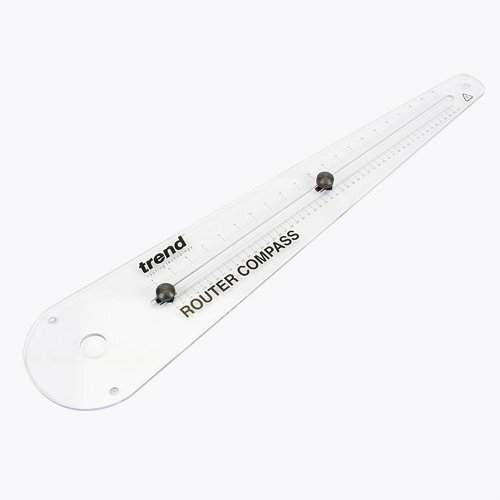 This router compass is used for cutting circles & arcs from 100mm up to 610mm radius. Made of clear plastic. Printed graduated scale for precise radius setting. Fits to the base of a router. Router not included.